It’s a SNOW DAY (or Cold Day)!! Is that something you dread or look forward to? Either way, it can be made enjoyable, but it does take some planning and effort so it doesn’t become chaos. The fresh snow can be fun to play in, but the kids usually get cold and need to spend a majority of the time inside. Where I’m from, we more often have “cold days,” where it is dangerously cold, and for children’s safety, school is closed so we can all stay inside. Keeping already stir crazy kids indoors can be overwhelming, especially if you need to work from home, but I’ve got a list of activities to keep them occupied, pretty much screen free! Tidy up– You’ve probably been watching Marie Kondo on Netflix (or have at least heard of it by now) and wish you could have a tidy, orderly home! Well today is the day to tackle your kids closets, rooms, and playroom! Get them involved in the sorting and reorganizing. You’ll be so glad you did it later! Clean up– What usually keeps kids from cleaning? Maybe some whining and complaining, but I think chemicals are the bigger problem. 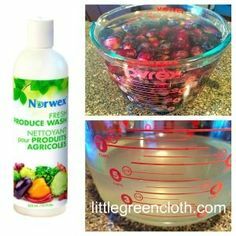 With Norwex, you just use water and a cloth! It is so simple, even a 2 year old can wipe something down with an EnviroCloth. Fold laundry– take the time to teach them how to do this and then pass it off as a regular chore. Teach it, delegate it, and save yourself tons of time in the future. Give your kids hair cuts– save yourself time and money by watching a Youtube video and picking up a clippers. Groom the dog/cat– Give the kids the slicker brush, the Norwex Pet Mitt, and some waterless shampoo. Run the Norwex Dry Mop when finished. Clean the pet zone– Pets are a great way to teach kids responsibility because they depend on us! Teach them to care for their pet by vacuuming their space, spraying some Odour Eliminator, or washing out the fish tank. Meal Prep– It can be difficult to find time to cook dinner and teach your kids how to on usual weekday evenings. Prep some meals with your kids and you can all anticipate trying them later on in the week or month. Write Christmas thank you cards– we’re only a little over a month removed from Christmas so have your kids practice thankfulness by writing thank yous! Call Grandma and Grandpa– How often do kids talk on the phone? Give them a chance to practice and show love by making a call. Listen to an audiobook– get some of your work done while they listen to a story (don’t feel guilty!). Audible and Hibooks are great services. Read books– After you get a few things done, take the time to read to them and have them read to you. Crafting– coloring books, sticker books, Playdough, cutting out paper, making cards. Whatever you have the patience for! Write a story or play– push them to use their imagination, maybe even perform it later! Practice instruments– hey, maybe they’ll even play longer since there is no rush. Puzzles– They get a rep for being boring, but put on some good music and let them figure it out. Dance party– turn up the tunes! Take a rest– most kids don’t get enough sleep so give them a rest time in the afternoon. They don’t have to sleep, but they might. Many other places in the world regularly take afternoon rests. Go online clothes shopping– taking the kids to the store to shop can be irritating so just get it done at home. Stock up for spring break and summer! Take an extra long bath– Pour in some Norwex 4-in-1 Kids Wash and get squeaky! It’s OK if your bathroom turns into Sea World. If you have friends nearby, have a good old-fashion playdate! Start planning their summer– Figure out dates and rates. You don’t have to take the plunge and pay for everything right now, but start doing your research and asking your kids what they would like to do. Take pictures– give your kids the camera and let them take pictures during the day. Take some yourself and enjoy the memories later. Play– It can be difficult to get kids to start playing. We are so often entertained and playing is hard work! But keep pushing them to “go play,” even if it means gating them in the play room while they fuss a few minutes. Let them use their own imagination to pretend. Squeeze in some of your work in the meantime. There you have it! No idle screen time, no time wasted! What will you be doing on your snow day? Cleaning and baking at out house. Which leads to more cleaning and more baking. It’s an endless cycle. Our house is well used and well loved. Thankful that Norwex makes the cleaning part fun.